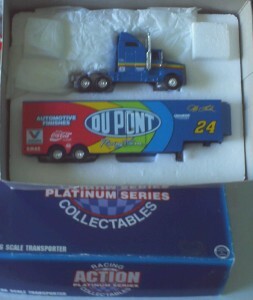 Jeff Gordon transporter Winston Cup series by Action, Platinum series MIB 1995. Box shows some age, but in good condition. WE TRY TO DESCRIBE EVERYTHING TO THE BEST OF OUR ABILITY. IN THE EVENT WE ARE IN TOTAL ERROR WE WILL REFUND THE PURCHASE PRICE. EXCEPTIONS ARE ITEMS STATED AS IS OR ITEMS STATED NO RETURNS. 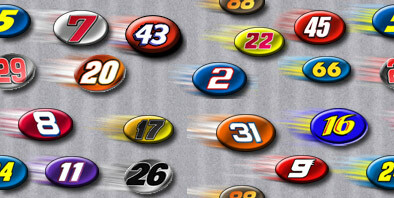 WE DO NOT REFUND THE SHIPPING COSTS. WE ENCOURAGE EVERYONE TO ASK QUESTIONS.